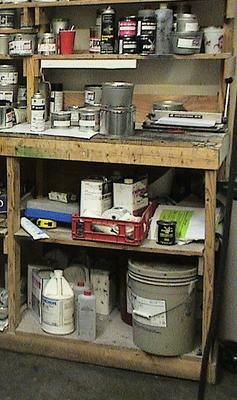 So, you have a pile of leftover paint cans sitting around your shed or basement. You have saved what you need for any possible touch-ups that are required, but what should you do with the rest? There are only so many unfinished wooden pieces of furniture you can paint the same color before your decor starts to look a bit boring. Instead of throwing the paint away and harming the environment, try donating it to one of the five great places below. You will be helping your community while de-cluttering your home. Most high school drama clubs have very limited budgets, but very big ideas. Students and staff scrimp and save for the biggest parts of their plays and musicals, but oftentimes, paint can be expensive. By donating your unused or leftover paint to high school or community drama clubs, you give them the opportunity to paint sets and scenery with abandon. Contact the high school’s main office to get in touch with the drama club advisor and see if such a donation would be welcome. Your community P.A.L. Center is on a very tight budget. While they try to offer children in the community a safe haven with a lot of activities, many times painting is an after-thought. Your donation of left-over paint can give the children who go to the center a creative outlet for painting wall murals or even just painting a classroom or weight room. You may be able to get a receipt for a charitable donation depending on how much paint you donate. Between providing for basic needs and security, homeless shelters usually do not have time to worry about purchasing new paint for their facilities. Instead of being clutter in your garage, that can of paint could become a bright spot for those who are less fortunate. If you are feeling even more inclined to help, consider offering to paint a room or wall for the shelter. Boy Scouts are always eager to work on community service projects, but most of the time the equipment and supplies come from their own budgets. Your extra paint could wind up being used to paint an elderly person’s front porch or a bench in the park. What is extra paint for you could very well be a boon for someone who is in need. Do you live in or near a low-income area? If so, consider donating your extra paint to a local summer camp group. Budgets, especially city or town budgets, are especially tight and your paint could give new life to picnic tables, benches and other equipment used by the park and recreation department. Again, volunteering to help paint is usually a welcome offer and one that no group will turn down. You never know what a blessing it may be to others when you donate leftover paint. Community groups will make good use of it and you are indirectly helping to brighten someone else’s life.